Try It Tuesday: Get Creative! 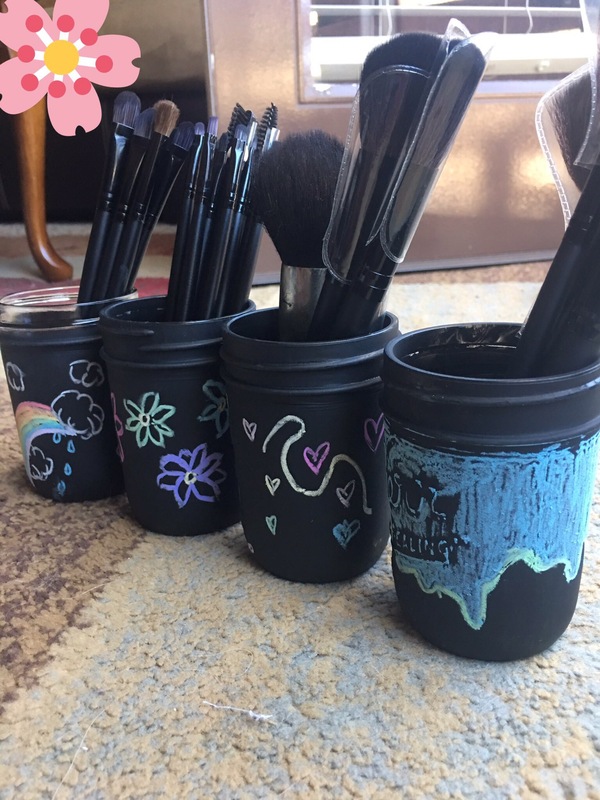 My latest artistic craze has been mastering chalkboard paint!! 😊🎨💕✨ THANKS TO PINTEREST!!! It is something I have always wanted to try out for myself. Pinterest has countless amounts of awesome DIY (do it yourself) projects. If you’re like me, one who rather make something myself instead of paying $40+ dollars for it ; you will love PINTEREST! This project was extremely simple and affordable! 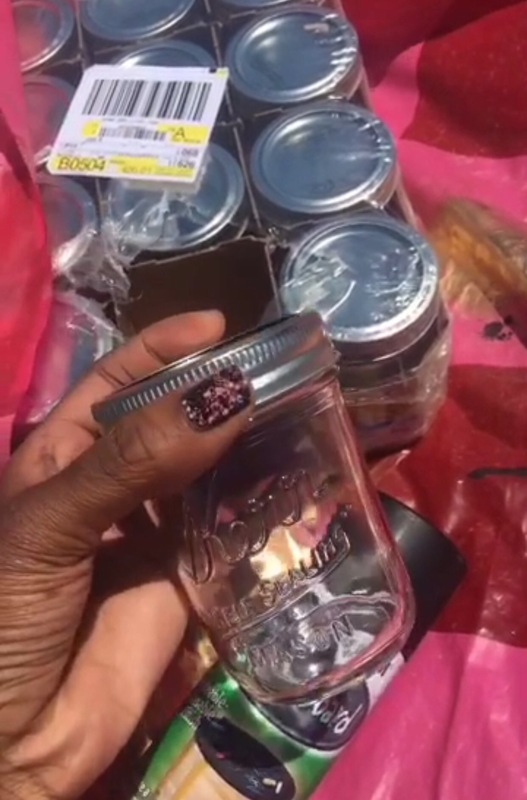 The 12 pack of mason jars were $6 at Walmart. 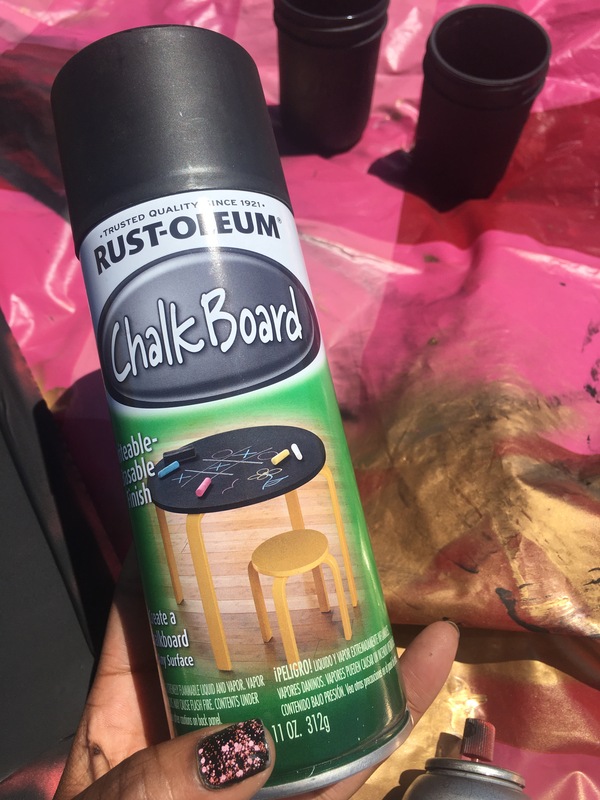 The chalkboard paint was about $3 per can. I used something I didn’t mind getting messy (an old shower curtain) as an underlining. *NOTE: it is best not to use the spray paint indoors , the smell is extremely strong. I advise doing this in an open area, such as your backyard or the park. I layered each bottle with about two coats. They dried fairly even. After about 20 mins, they were all finished. As soon as I got home I broke the chalk out! I challenge my readers as well to be creative today! If you can’t think of anything, give this project a shot! Its super fun!!! Posted in AscendersTouchTagged art, artist, christian, crafts, diy, fun, hope, Paint, positivity, stress reliefBookmark the permalink.